Obituary for Carrie Roberta "Bertie" (Watson) Amos | Young Funeral Home And Cremation Services, LLC. 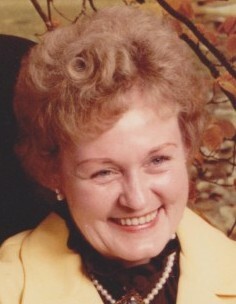 Carrie Roberta (“Bertie”) Amos, 89, of West Alexander, PA, died Thursday, March 21, 2019 in her home. She was born May 13, 1929 in Valley Grove, WV, a daughter of the late Robert Henry Watson and Sarah Violet Richmond Watson. Roberta was a member of the West Alexander United Methodist Church and the West Alexander Legion Auxiliary, Post #656. She enjoyed playing cards, watching the Pittsburgh Steelers and Pittsburgh Pirates, and spending time with her family and friends, especially her two great-granddaughters. On October 15, 1948, she married Harold "Lee" Amos, Sr. who passed away May 16, 1998. Surviving is is a granddaughter, Michelle (Harry) Lea Moore and great-granddaughters Sarah and Emma Moore of West Alexander. Deceased in addition to her parents and husband are a son, Harold “Lee” Amos, Jr., a granddaughter, Brandy Lea Amos, brothers Carol Watson, James Watson and Claire Watson and sisters Betty Watson and Delvera Wallace. Friends will be received from 4-8 p.m., Sunday, March 24, in Young Funeral Home, 219 Main Street, Claysville, where services will be held at 11 a.m., Monday, March 23. Burial will follow in West Alexander Cemetery. 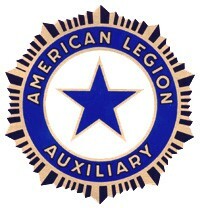 Memorial donations may be made to West Alexander Legion Auxiliary, Post #656, PO Box 32, West Alexander, PA, 15376. Young Funeral Home And Cremation Services, Inc.